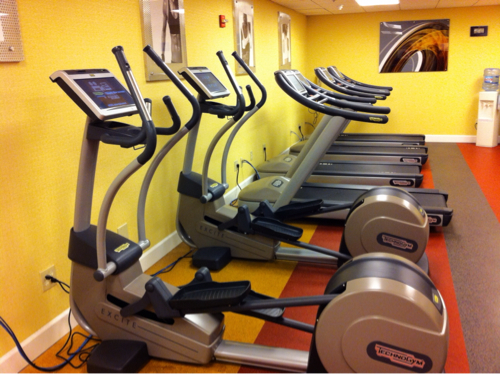 Hotel Fitness Center – An Oxymoron? | Fit Family Robinson | The world is your gym. 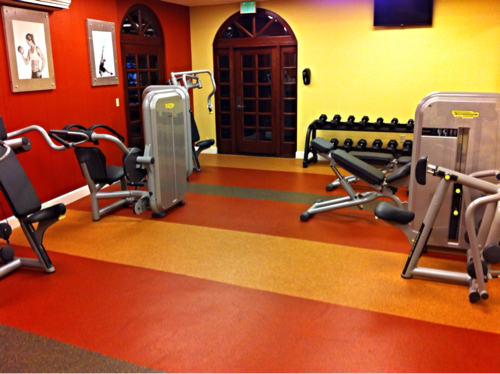 Hotel Fitness Center – An Oxymoron? Many of the hotel “fitness centers” we come across have nothing more than a cold-war era treadmill and a Universal machine salvaged from a junior high basement. So it’s a joy to come across one that is functional and well equipped. This is the one at our current hotel, the Courtyard Marriott in Palo Alto, CA. Modern treadmills & ellipticals, weight machines, dumbbells, and a rack of core-training equipment that I have not seen in other chain hotels. 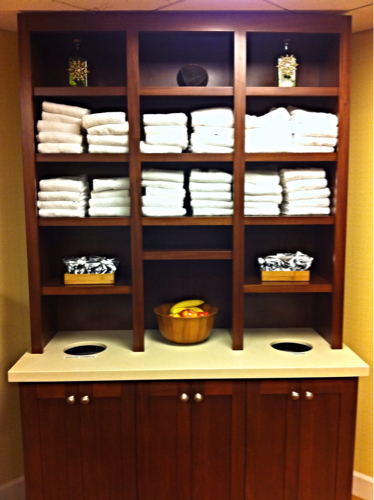 And they pay attention to details: a big bowl of fresh fruit, clean towels, filtered water and complimentary headphones. Nice. It was clearly built with purpose, rather than shoved into a spare room next to the laundry. They left enough floor space to spread out mats or use the bosu, yoga balls, foam roller, etc. from the core rack. A separate, glass door out to the pool area is a nice touch; our boys could sit on the patio practicing their guitar and ukulele while we kept an eye on them. 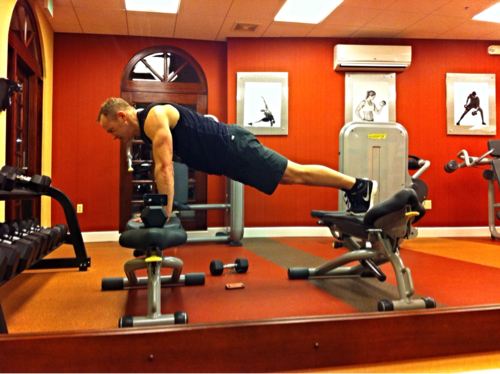 I used that space this morning for some killer ab work. Try these Power Pikes to really hit your lower abs. 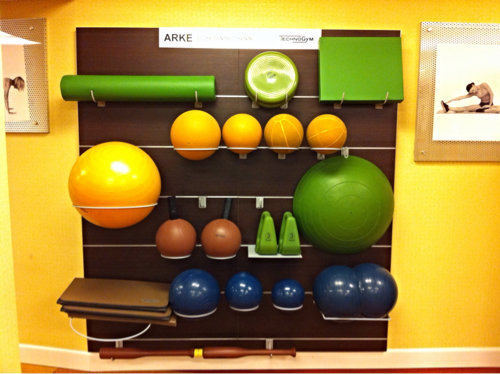 » Fitness » Hotel Fitness Center – An Oxymoron?